 Learn more about these and all of the other great resources connected to I CAN ONLY IMAGINE at ICanOnlyImagineResources.com. Have you ever felt rejected, guilty, or broken? 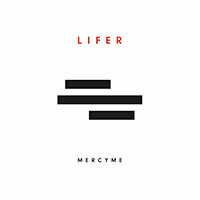 Before he became the lead singer of MercyMe, Bart Millard suffered through a painful childhood, which led to him building walls around his heart. 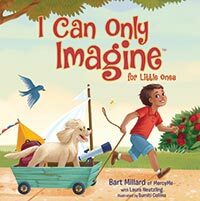 In the I Can Only Imagine Bible Study and Church Resources, Bart shares his story and leads you on a redemptive journey to see yourself through God's eyes. Find rest in His approval, purpose, and eternal hope as you reveal the heart of the God who loves you ... more than you can imagine. 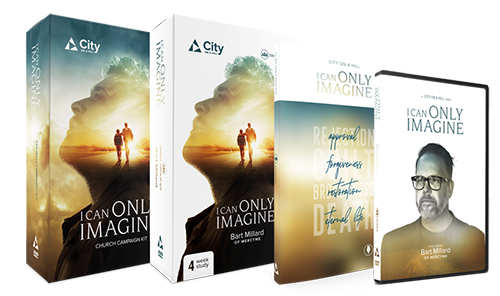 Based on the movie, resources include Small Group Study, Pastor's Kit, Participant's Journal, Devotional, Gift Journal, and Student Study. I Can Only Imagine Student Devotions are a powerful exploration of brokenness and redemption, rejection and forgiveness, and the ultimate hope of the Gospel. 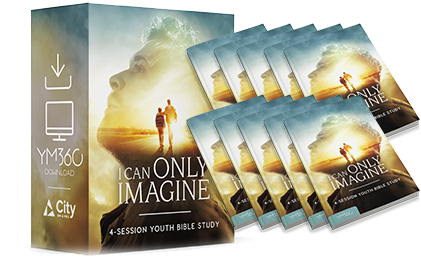 Inspired by I CAN ONLY IMAGINE and developed by YM360 for use in your youth ministry alongside the I Can Only Imagine 4-session Bible study, this student-focused study is a journey that shows redemption, forgiveness, and salvation are at the heart of God. 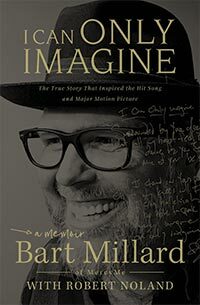 For the first time, Bart Millard shares the story of his abusive father and how faith saved his family in the true story that inspired this new movie. 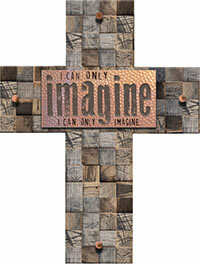 Based on the lyrics of the song and the heart of the new movie, this full line of gifts and decor celebrates the hope of God's love. Imagine how these joyful expressions can bless you and those you love. A delightfully fun and thought-provoking story of a little boy imagining what it would be like to spend a day with Jesus. Enjoy songs from and inspired by the hit movie I CAN ONLY IMAGINE. 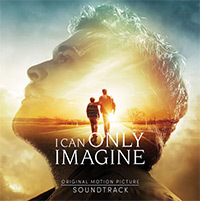 The album includes “I Can Only Imagine” performed by J. Michael Finley (Bart in the movie), along with “Amazing Grace;” “O Lord, You’re Beautiful;” and a special song by Dennis Quaid (Arthur in the movie) called “On My Way To Heaven.” Available only at digital and streaming retailers. 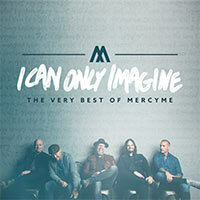 MercyMe's new top-selling album features the hit single "Even If" plus "Happy Dance," "We Win," "Ghost," and more.